Whether you are looking to celebrate your love with a great outdoor banquet or an intimate beach get together, planning your dream wedding should be quite a cause of fun with no frustration. No matter what your choice of location or style is, Colombo Fort Hotels has the right solution that can be easily customized to suit your preference and budget. With a dedicated planning team to make your special day extra special, we hope to take the frustration out of planning your big day and discover inspirations in the process. You will find our wedding specialists at Sigiriya Village, The Palms and Fisherman’s Bay helpful in deciding all the little details for a perfect celebration from seating arrangements to decorations, floral décor and menu planning. 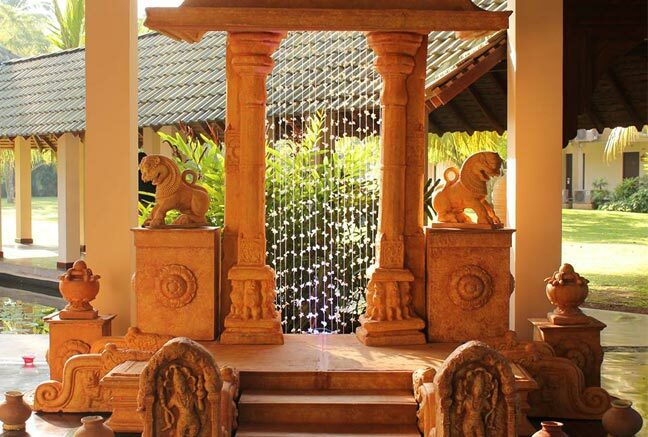 Colombo Fort Hotels Indoor Weddings are designed for nuptial perfection. 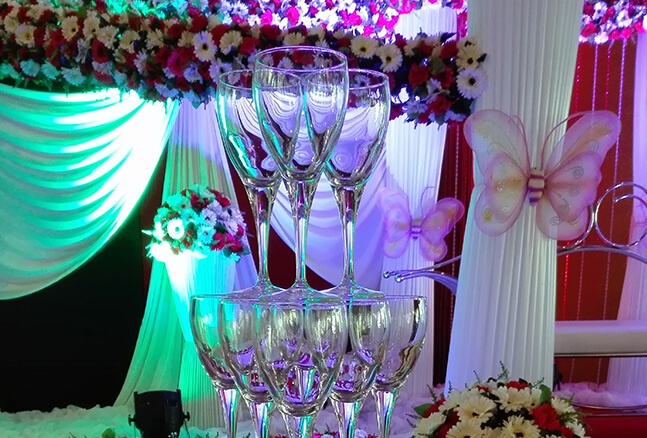 Whether you are looking for an all-the-details treatment or a just-the-basics approach, Colombo Fort Hotels offer a range of options for indoor wedding with banquet spaces to host as many as 160 and a range of event planning, catering, entertainment, and space decoration services to make your dream wedding a reality. 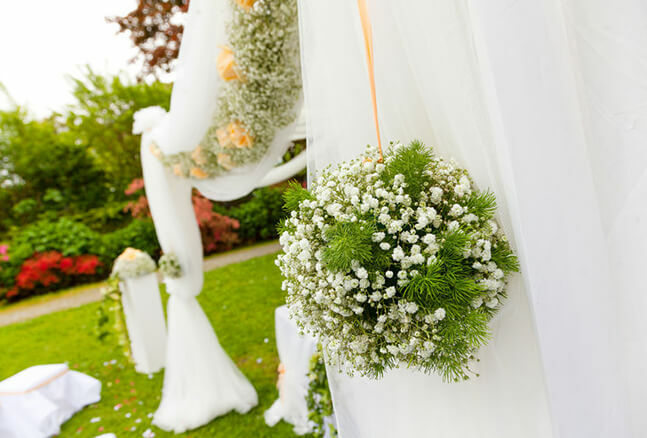 Whether you are dreaming of a rustic garden wedding under the stars or a marquee wedding celebration, we have the right package and solution to make your dream a reality. With detailed planning from flowers to seating, lighting, banquet, and music options to suit your theme and guests, Colombo Fort Hotels strives for absolute perfection making your big day a stress-free memorable experience. Give your big day an extra sheen of glamour with a traditional Sri Lankan wedding. Let us take care of all the details for you from traditional costumes, decorations, ceremonial formalities and banquet. No matter which location you choose or where you are from, traditional Sri Lankan weddings are a colourful and an elegant way to say I do amidst the percussions, dancing and chanting of well-wishes. Whether you opt for the detailed tradition or the best of the traditions, our team of wedding specialists will make sure your special day is as colourful and memorable as you want it to be. Bohemian brides, rejoice. 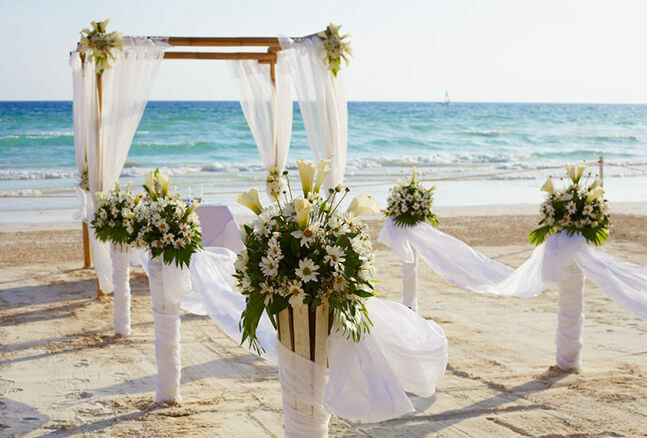 At Colombo Fort Hotels, we offer some of the best beach locations to tie the knot. Choose one of the best beaches in Southern Sri Lanka to say I do and we will take care of the rest for you, from location and seating to decorations, menu and banquet planning taking the stress away and leaving you to relax and party. With direct access to the beach and a shaded lawn lying next to the beach, Colombo Fort Hotel’s beach side wedding venues offer you change of scenery and location to suit each part of your wedding from blessings and gathering to entertainment.